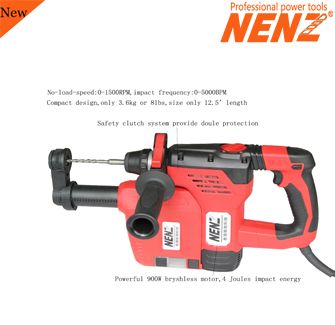 •30mm (1-3/16'）solid bits and 75mm(3') core bits drilling capacity in concrete. 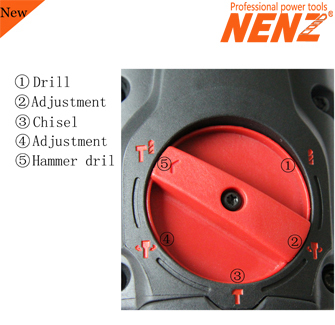 •With removable chuck can drill the wood and steel plate(option). 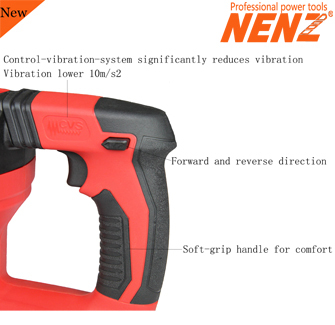 •Three functions, including hammer drill, drill and Chisel. •Variable speed switch for speed control. •Compact design for the weight( 3.6kg or 7.9Ib) & size(12.5' length), easy to use. •Fitting the dust clear system. •Ensure the working environment clean and keep user healthy. 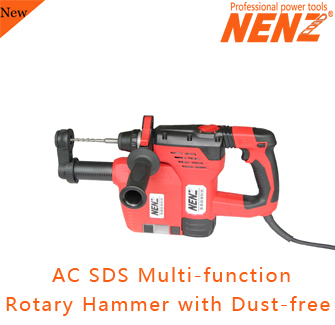 •Easy to install and carry out the dust clear as accessory.